Sparta Prague: Andrea Stramaccioni Sacked, Pavel Hapal Takes Over! 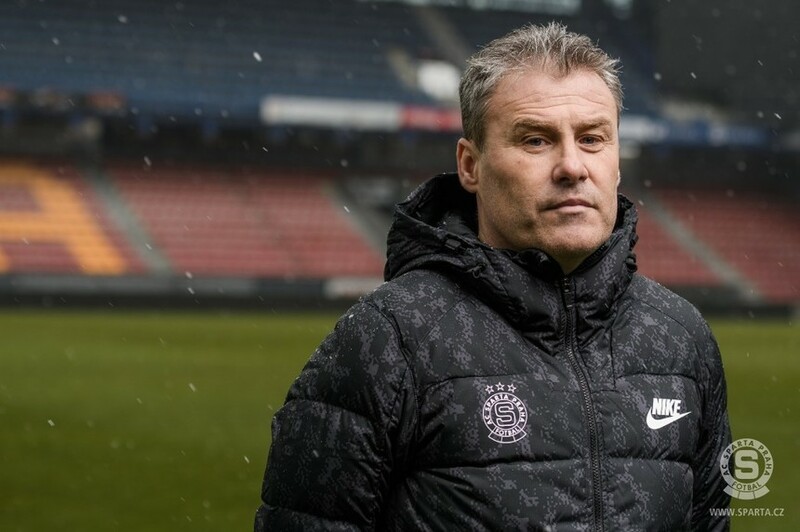 Czech Pavel Hapal replaced Italian Andrea Stramaccioni in the post of main coach of the Sparta Prague football club today, Sparta announced on its website. Hapal, 48, a former Sparta player who coached the Slovak under-21 national team in the past three years, signed a contract expiring in June 2020 with the club. Hapal played for the Czech national side in the past and he coached several teams that played the Czech and Slovak top leagues. Stramaccioni, 42, was sacked today sacked due to the bad results of the team. He joined Sparta last May. He previously coached Inter Milan (2012-13), Udine (2014-15) and Panathinaikos Athens (2015-16). Despite high investments in foreign players, Sparta failed to advance to the group stage of the Europa League and was eliminated in the Czech football cup. In the Czech league, it is in the 5th position and has 14 points fewer than the leader, Viktoria Plzen. Sparta would not play the European leagues next season unless its position improves. Hapal’s task will be to fight for the second position in the Czech league and play a European league next season. Sparta is the richest club in the Czech top football league and its many times winner in the past. Under Stramaccioni, Sparta bought Israeli forward Tal Ben Haim Junior for about 2.9 million euros from Maccabi Tel Aviv, making him the most expensive footballer playing the Czech league. In January, Sparta beat its own record by buying Romanian midfielder Nicolae Stanciu from Anderlecht for 4.6 million euros. Speculations about the sacking of Stramaccioni appeared already last autumn. The decision was made after Sparta won only one of three matches in the spring part of the football season. Stramaccioni’s six Italian assistants are leaving the club as well. “Andrea Stramaccioni had the hard task of launching the internatiolisation of the club. We discussed his position already after the autumn part of the league and his mandate for the spring part was made conditional on an immediate improvement of the performances of the team which we supported through further investments in players. Unfortunately, the first three rounds of the spring part did not bring the expected improvement,” the club’s director Adam Kotalik said. Stramaccioni was the fourth foreign coach working in the top Czech league, apart from Slovak coaches. German Jurgen Sundermann coached Sparta in 1994, Italian Massimo Morales coached Pribram in 2008, and Dutch Alex Pastoor coached Slavia in 2014.